The revolution that won Coyote's independence from Earth is 20 years past. Coyote's aging computers, aircraft, and medical equipment are badly in need of replacement. And the colony's survival is in question. Now the colony's hard-won independence depends on the descendants of Coyote's original settlers-versus help from Earth that may be more of a detriment than a boon. 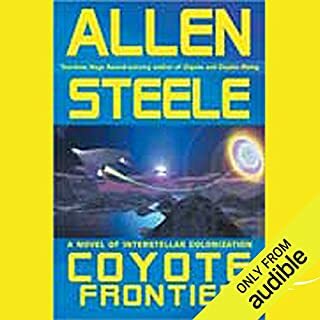 What was most disappointing about Allen Steele’s story? in the Forward to the book the author states at one time he did not think he should write a third book in the series. Sad to say he was correct. This is a bad humans messed up the Earth a possible scenario however anyone with a basic understanding of weather understands that two continents both in the Northern hemisphere on earth cannot have constant heat in one and cold in the other at about the same latitude once this premise was raised the book went down hill. Which character – as performed by Peter Ganim and Allen Steele – was your favorite? New York Times best-selling author Eric Flint continues his Ring of Fire series with esteemed sci-fi author Charles E. Gannon. 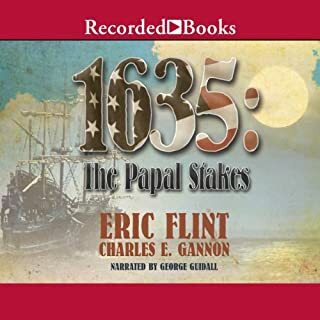 Rome in the year 1635 finds Frank Stone and his pregnant wife Giovanna in the clutches of Cardinal Borgia, whose political machinations and papal assassins may soon elevate him to Pope Borgia. Now Frank, along with Harry Lefferts and his infamous Wrecking Crew, must protect Pope Urban VII from all manner of treachery. Audible - If you do a series do the whole series!! Do you think 1635 needs a follow-up book? Why or why not? No, The book it follows is not available from audible. There are four 1634 books and only one is here. Vastly disappointing since this volume references and follows closely one of the volumes not available the same thing is going to happen with the 1636 as there are multiple 1635 booksand again this is the only 1635 that does not coincide with this story. After centuries of stasis, the island kingdom of Charis began to defy the edicts of the Church of God Awaiting - egged on, some say, by the mysterious warrior-monk Merlin Athawes. Now, in the wars and intrigues that have cascaded from Charis's declaration of independence, the populous Republic of Siddermark is sliding into chaos. The narrator. 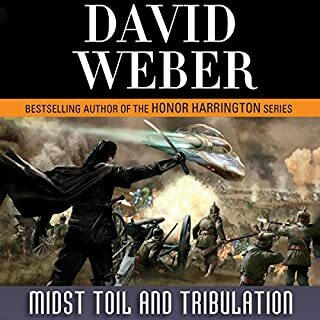 In general this book was up to the quality I would expect from David Weber. From the very beginning every thing was done in a style I can only characterize as over acting and over dramatization. In all honesty if he narrates any further volumes in this series I highly doubt that I would select them. Also any other books that are narrated by Mr. Collins are off my list. Mispronunciation seems to be another of his failings.